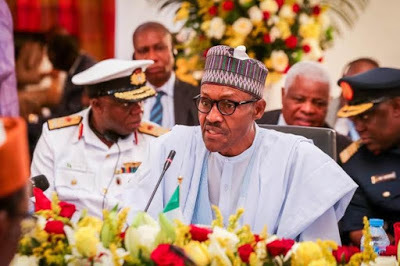 President Muhammadu Buhari has condemned in the strongest language the latest terrorist attacks on Borno and Yobe communities by the Boko Haram bandits. In a statement issued by his Senior Special Assistant on Media and Publicity, Malam Garba Shehu, the President said he was deeply touched by these mindless incidents of violence on innocent people during the month of Ramadan. According to President Buhari, the terrorists are enemies of everybody, and enemies of humanity everywhere. He explained that no sane people who believe in any god would be destroying the lives of innocent people in cold blood, adding that terrorists don’t represent any religion. The President said the pattern of their indiscriminate violence against innocent people shows that they represent nothing else but anarchy and devilry. In what appears to be one of his toughest expressions of outrage, President Buhari reminded the terrorists of his uncompromising resolve to tackle them with all the resources at the disposal of his government. “Make no mistake about it: this government is ever determined to discharge its fundamental duty of protecting the lives of its citizens from physical threats from any groups bent on creating chaos, confusion, and on destroying social and economic life of the people”, he further warned. President Buhari, who extended his sympathy to the families of the victims, reassured all Nigerians that his government would never tolerate to terrorist blackmail, and that our security forces would confront the Boko Haram bandits to the last man. Describing terrorists as “cowards who lack any moral inhibition and any iota of humanity to reason compassionately” would not find Nigeria a safe haven, because “they would be “hunted down without mercy and compromise.” He reassured Nigerians that security would be tackled by his administration with vigorous determination.